Item # 310508 Stash Points: 1,999 (?) This is the number of points you get in The Zumiez Stash for purchasing this item. Stash points are redeemable for exclusive rewards only available to Zumiez Stash members. To redeem your points check out the rewards catalog on thestash.zumiez.com. Made for the adventurers, the risk takers and the streetwear fashionistas, Forty Ninth Supply Co. presents The Garrison Heather Charcoal Beanie. This ribbed knit construction offers a warm fit and feel that comes complete with a signature logo patch on the fold over cuff. 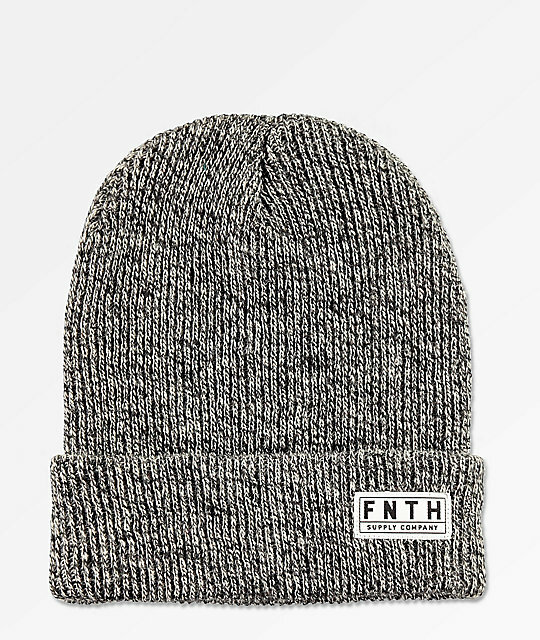 The Garrison Heather Charcoal Beanie from Forty Ninth Supply Co. Fold over cuff with embroidered logo patch. Hand wash gentle, dry flat.